Apart from anything else, it was interesting to discover the US viewpoint. Apparently, the US end tried to position the Amiga as a business machine to rival the IBM PC and the Mac, while the European end of the market - the one I directly experienced - focused far more on the Amiga's capabilities as a games machine. And for its time, it was a superb one. If you aren't familiar with the Amiga, it was displaying impressive colour graphics and high quality sound at a time when Macs had tiny monochrome screens and IBM PCs were lucky if they could handle four colours and did little more than beeping. The Amiga's graphics capabilities meant that, while the US version couldn't get a foothold in business, it did become a standard for TV effects generation. Maher presents the Amiga fairly, I think, as a machine that was ahead of its time and pointed to many of the directions for the future, but implemented its capabilities in a way that was difficult to continue evolving. It did not have the flexibility of the open hardware development for IBM PCs, nor was it made by a company with the drive to keep improving in leaps as Apple did. As a result, the Amiga was an outstanding machine for about five years, but once were were into the 1990s it was rapidly overtaken and left behind. In part, the enjoyment of the book was a degree of nostalgia, particularly when Maher talked about the game Defender of the Crown, which was an Amiga must-have. As well as more on the business aspects, I would have liked to see more on the operating system and applications from the user's eye view. Instead, Maher focuses particularly on the developer's viewpoint. So we have pages of description of how the different parts of the operating system and the hardware chips functioned, and lengthy breakdowns of how, for instance, graphics demos interacted with the Amiga hardware. Of course we need to know what, for instance, its oddly named chips Denise, Paula and Agnus*, and the copper and blitter coprocessors did, but there was rather too much information for me. Overall, I'd say this was an even more specialist read than the SNES title. 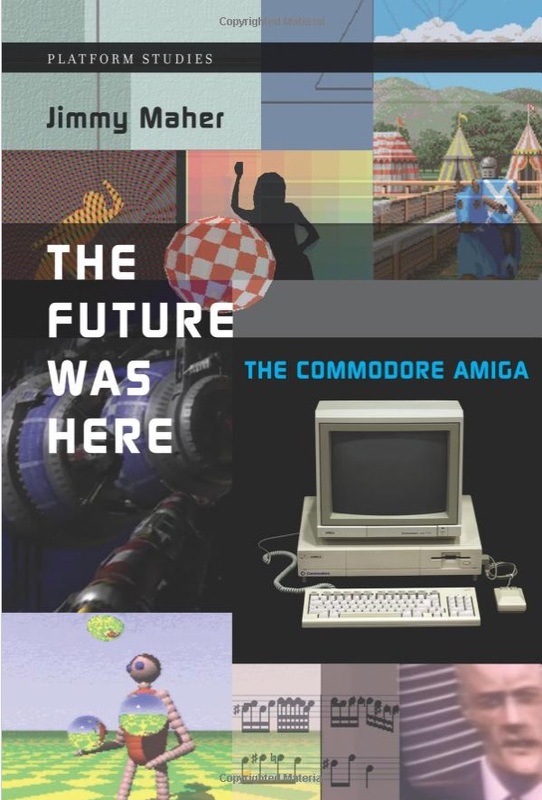 But if are interested in the workings of computer hardware and software, or you were an Amiga owner, I can recommend this book to fill in a lot of the detail from behind the scenes... and take you on a nostalgia trip in the bargain. * I've always been puzzled that the chips were supposedly given girls names, but 'agnus' is a male Latin word. I can only assume it was a misspelling of Agnes.